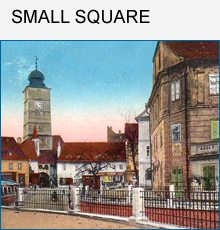 The square exists since 1366, when the third fortification belt was completed. 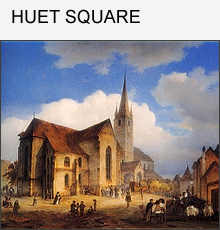 During the Middle Ages, the square was the stage of the most important events of the city’s daily life, such as public gatherings but also executions. The square is divided in two distinct parts from the Ocnei Street going down under the Liar’s Bridge to the downtown. The northern and estic parts follow the outlines of the second girdle of walls having a circular shape. 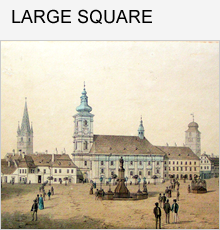 The square was formed on the line of the city's first fortified precinct. 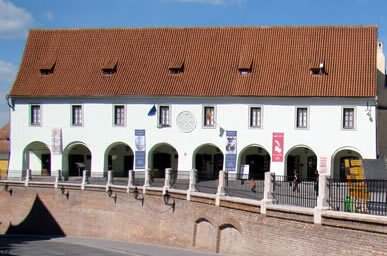 The enclosure itself dates from the late twelfth century, the existence of the prepositure in 1191 being an "ante quem" term for dating today's area of the square. 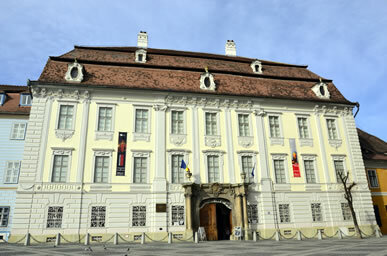 Sibiu is distinguished by a rich historical heritage that spreads over nearly 900 years of existence. 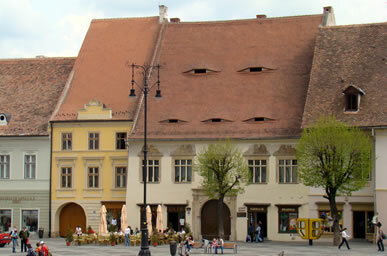 Here are a few edifying aspects of our past, aspects that highlight the role that Sibiu has played over the years in this part of Europe. 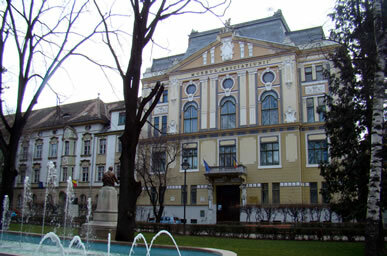 Sibiu is the seat of the Metropolitan Church of Ardeal (founded in 1861 at the initiative of bishop Andrei Saguna), one of the most important Orthodox Church in Romania. The "Sf. Treime (Holy Trinity)" Roman-Catholic Church represents one of the most important buildings in the Large Square dating from the 18th century. 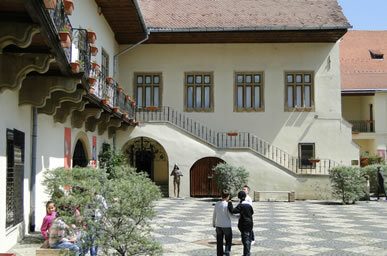 The Evangelic Church is one of the most impressive buildings in Sibiu. It was raised in the 14th century on the location of an old Romanic Church dating from the 12th century.